Backed by more than 30 years’ experience and a reputation for delivery and service that spans four continents, Plattmounts is a world-leader in the design, prototyping, manufacture and installation of weapon mounts and equipment for all types of military vehicles. Users of Platt weapon mounts include the United States of America, United Kingdom, Australia, Saudi Arabia, Kuwait, Brazil, Iraq, Germany, Spain, Canada, New Zealand, Sweden, Netherlands. Combat proven and totally dependable, Platt weapon mounts continue to serve with distinction across the full range of global operational theatres. 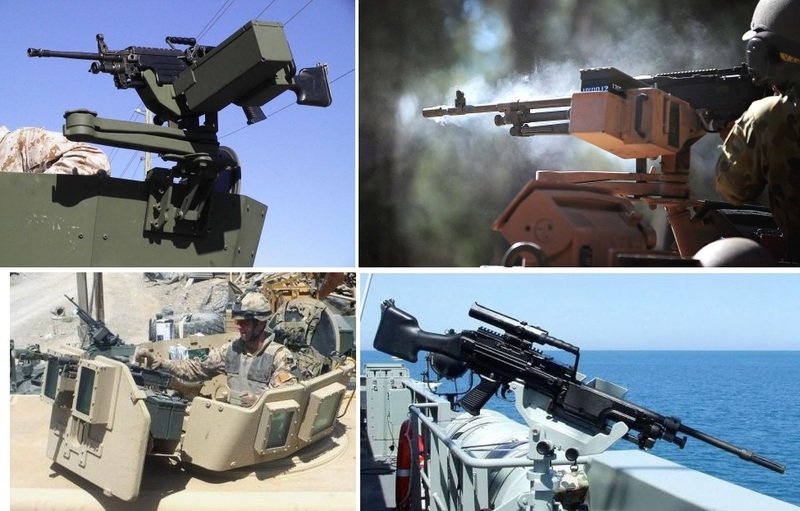 Platt Swing Mount - The Platt Swing Mount was developed by Platt for the Australian Army's Light Armoured Vehicle project to provide a wide range GPMG platform for use on the LAV-25 turret. The Platt Swing Mount can now be found on a myriad of vehicles around the world. The company has supplied over 17,000 of these systems worldwide. PKM Swingmount - A swing mount designed specifically for the 7.62 PKM machine gun and featuring a built-in ammunition can holder and optional link catch bag. Platt Lightweight Skate Mount - Leveraging off the highly successful Platt Swing Mount, the Platt Slide Mount is a lightweight and versatile mount designed for installation on the dash structure of open-topped soft-skinned vehicles. Featuring a unique rail slide mounting, the Platt Slide Mount is suitable for vehicle commanders/co-drivers where a quick-reaction defensive and offensive fire support capability is required. MR655 Ring Mount - The Platt MR655 Shielded Ring Mount is a modular protected gun ring designed for armoured vehicles equipped with light, medium and heavy machine guns or 40mm automatic grenade launchers. Armoured against 5.56mm and 7.62mm ball in standard configuration, the MR655 Shielded Ring Mount is currently fitted to a variety of wheeled and tracked light armoured vehicles serving with US and Coalition forces in the Middle East Area of Operations. MR550 Shielded Ring Mount - The Platt MR550 Shielded Ring Mount is one of the most widely adopted weapon stations in use today. With a design pedigree stretching back to the late 1990s, the MR550 Shielded Ring Mount in baseline configuration provides STANAG 4569 Level 2 protection. MR660 Mod1 - The Platt MR660 Mod 1 Ring Mount is a lightweight partial protection manned weapon mount designed for light armoured vehicles requiring medium/light machine gun armament. Platt Skate Mount - Platt Skate Mount provides the gunner with a rear and side-firing weapon mount capability designed to withstand harsh operating environments. Maximus Twin Mount - Borne out of the fires of combat in Iraq and Afghanistan and the lessons learnt by those doing the fighting, the Maximus Twin Mount is the ideal counter to fleeting targets and short, sharp engagements. FW655 Open Ring Mount - The FW series of Ring Mounts provides a low profile, highly flexible weapons platform for soft-skinned vehicles. Armoured hatches can be integrated if required. MR800 Ring Mount - The MR 800 is the largest ring mount offered by Plattmounts in terms of the physical ring size. PLATT Viper Turret - The Viper A1 from W&E Platt is the result of customer demand for a low-cost, dependable and easy to use one-man turret that provides all-round protection for the gunner. Utilising Platt’s combat proven and highly dependable MR800 ring bearing set, the Viper A1 is manually-operated and ideal for both conscript and volunteer forces where uncomplicated operation and minimal training and maintenance burdens are essential. Platt Marine Pedestal Mount - The pedestal mounts directly onto the deck or any suitable horizontal superstructure and can be manufactured to whatever height required to cater for a multitude of mounting position options. Primarily designed to accept the Platt Marine 40/50 soft mount the Pedestal can be used as a basis for the integration of a wide variety of weapon systems. In addition to accepting the Platt 40/50 soft mount, the Pedestal can also accept the Swing Mount or Twin Mount systems. Platt Foldaway Weapon Mount - The recently developed Platt Foldaway Weapon Mount is the ideal solution for cost-effective close-range self-defence in naval and coast guard applications. A standalone weapon mount for RHIBs and small patrol boats, or a supplement to the principal armament on board larger patrol boats, afloat support/amphibious ships and surface combatants, the Platt Foldaway Weapon Mount installs quickly and securely to any top rail or similar structure. Plattmounts products list include also the Platt Ballistic Test Unit and optional equipment.